Pat Chappell is recognized as the #1 business listing agent with NAI Excel. Pat was the second woman general contractor in the state of Utah. She specialized in the coordination, design, and building of multiple large commercial structures in a three state area. This diverse and complex business background, coupled with a vast administrative knowledge, enables Pat to offer seasoned business knowledge to business sellers and buyers looking to purchase real estate investments. She has found a niche, specializing in marketing and selling retail businesses. As a Retail Business & Investment Specialist, Pat and her husband, Mathew, have assisted their clients with acquiring and divesting motels and restaurants throughout Utah. Whether selling or purchasing a business, Pat understands business infrastructure and its complexities. She is a proven and seasoned negotiator. Pat represents a large client base of investors and sellers who buy and sell mid-size retail buildings from 15,000-30,000 SF. Currently, Pat also represents clients in leasing retail centers from 25,000SF-143,000 SF throughout Washington County. Pat’s national and regional client base is extensive. She has also represented and brokered numerous leases for many national tenants and continues to represent national, regional, and local tenants in the sale and leasing of commercial retail centers in the local area. In their free time, the Chappell’s are sport enthusiasts. They love to spend their free time taking breathtaking photos of secluded back country mountain locations. Pat Chappell‘s open & friendly personality has made her one of NAI’s top listing and business agents and earned her a high ratio of repeat clients. Pat and her husband, Mathew, are also successfully adept at handling both sides of difficult large real estate investments and acquisitions. Pat understands both the local, state, and national investment real estate arena. Pat has an uncanny eye for detail & she brings the unique ability to think “out of the box” when necessary in order to close a deal. 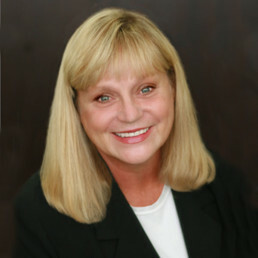 She is also highly cross trained in all aspects of commercial real estate.